(Chicken Exploitation - Egg Production - 48) This hen's wing is caught between the wires of a battery cage. She is unable to get to food or water or to lie down. She is painfully suspended in an upright position. 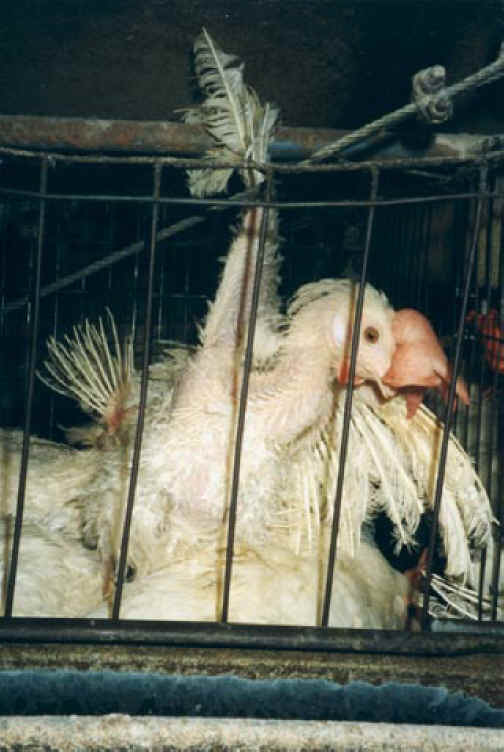 Imagine having your hand and wrist tied to a shower curtain rod so that you can't sit down or get to drinking water for more than a whole day, and you might have some idea what this hen is suffering.